There are a lot of “good” ideas on the list, especially those which address – sort-of – Kentucky’s young professional lifestyles. But some ideas are troubling – such as the one suggesting we bribe university graduates to stay in the state and work for a while and offering “executives” tax incentives to come to the state. We must make the state a place people want to live, and this takes a new way of thinking. These people are NOT following money. They are following quality of life. And the community they settle in are the beneficiaries. We need more small, entrepreneurial, diverse groups of innovators here because it’s a great place to live and work, not because they get an added deduction on taxes. 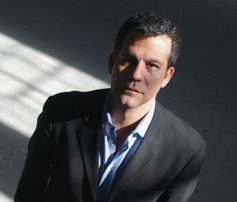 Just as I finished re-reading parts of my Richard Florida book, “The Rise of the Creative Class“, and out comes the ranking by the Human Rights Campaign‘s rank of Lexmark International, as Kentucky’s only ranked company in their best places to work for gay, lesbian, bisexual and transgender workers. That’s it. Just one. This diversity score is one of the key components of Richard Florida’s Creative Index, which directly and consistently correlates with the acceptance of alternative lifestyles in a community. Louisville, for example, ranks near the bottom on the diversity index – corroborating this vote by the HRC. Lexington, largely due to Lexmark and the University of Kentucky, ranks very high in its category and is making even more progress downtown – but as in many other things – Lexington is a bit odd (I didn’t say weird, dear Austin – just odd.) Richard Florida had this to say about Lexington. Louisville needs to find its own voice – Lexington, to a lesser extent, as well. Neither should try to slide into an archetype of any one sort, but to fertilize the soil for knowledge and media based economy. I realize that many people are working hard at parts of this, but I am very worried that their methods are far too conventional. ….How do you build a truly creative community—one that can survive and prosper in this emerging age? The key can no longer be found in the usual strategies. Recruiting more companies won’t do it; neither will trying to become the next Silicon Valley. While it certainly remains important to have a solid business climate, having an effective people climate is even more essential. By this I mean a general strategy aimed at attracting and retaining people—especially, but not limited to, creative people. This entails remaining open to diversity and actively working to cultivate it, and investing in the lifestyle amenities that people really want and use often, as opposed to using financial incentives to attract companies, build professional sports stadiums, or develop retail complexes…. .…Stuck in old paradigms of economic development, cities like Buffalo, New Orleans, and Louisville struggled in the 1980s and 1990s to become the next “Silicon Somewhere” by building generic high-tech office parks or subsidizing professional sports teams. Yet they lost members of the creative class, and their economic dynamism, to places like Austin, Boston, Washington, D.C. and Seattle—places more tolerant, diverse, and open to creativity. Because of this migration of the creative class, a new social and economic geography is emerging in America, one that does not correspond to old categories like East Coast versus West Coast or Sunbelt versus Frostbelt. Rather, it is more like the class divisions that have increasingly separated Americans by income and neighborhood, extended into the realm of city and region….